The surfaces can be made from GRP which is exceptionally long lasting, does not fade and is up to meeting the highest levels to wear & tear. 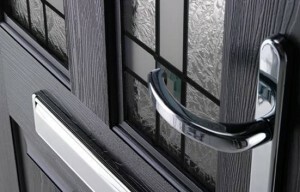 However, they are generally more expensive than a standard UPVC Doors. 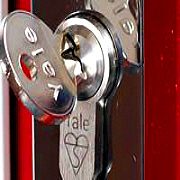 You can also chose the type of door furniture to enhance the look, with handles, letter boxes, thresholds & door knockers of every shape, size & finish. In terms of personalising your entrance door there is a wide range of colours to select from, with over a dozen wood-grain or smooth finishes, from white to black. From solid designs to “half glass” doors that feature double or triple glazed units. You can find the latest composite doors with ‘A’ ratings for energy efficiency, even when they feature large glazed areas. Where the glazed area is over a certain size the glass will is required to be toughened safety glass to British Standards. Find Great Prices on Composite Front Doors.